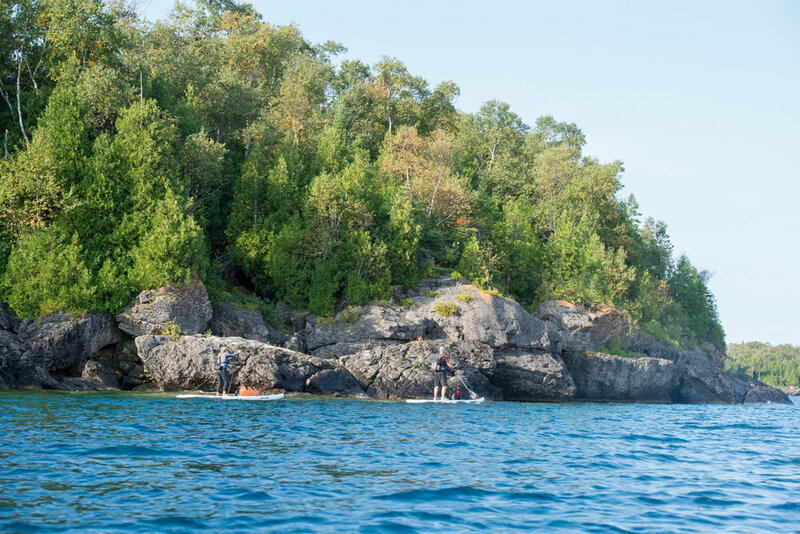 The town of Tobermory, located on the northern tip of the Bruce Peninsula, is steeped in history - both human and natural. Long home to first nations inhabitants, it is situated on a dramatically sculpted landscape formed through the erosion of the 400+ million year old carbonate rock (limestone and dolostone primarily) which forms the 900+ km long Niagara Escarpment (a UNESCO biosphere reserve). 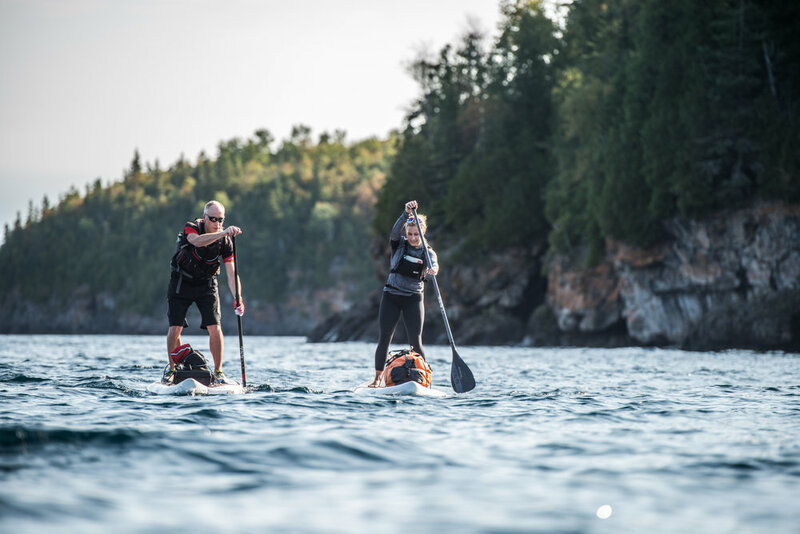 It also has an important place in maritime history, both as a shipping hub, a provider of mast-quality Eastern White pines from it’s dense forests, and home to over 25 known shipwrecks - most within reach of experienced snorkelers and divers. Today, tourism is booming in the area, having grown by over 200% in the past five years. This incredible growth is beneficial to the region and park on a number of levels, but it also brings with it certain challenges as increased visits to the most popular sites is putting some of them under increased pressure. 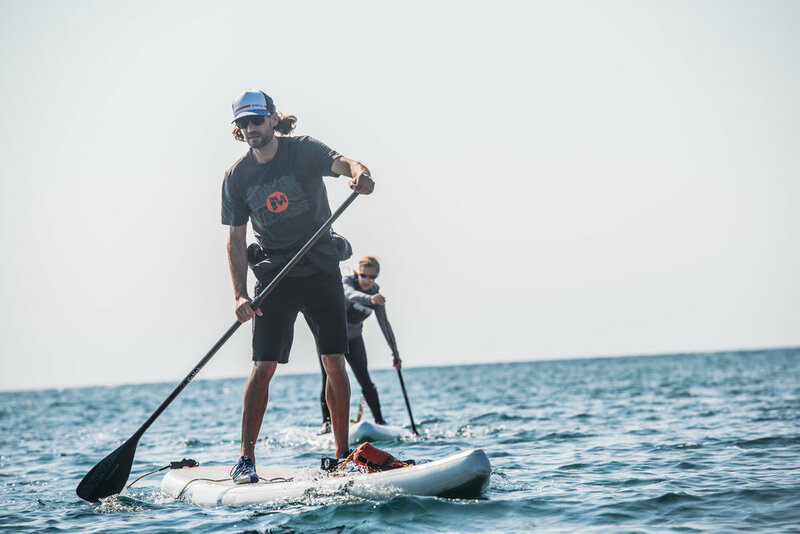 This project will see the Adventure Science team embark on an exploratory journey of the region, visiting, by stand-up paddle board and on foot, some of its lesser known sites - both above, and below the surface of Georgian Bay. 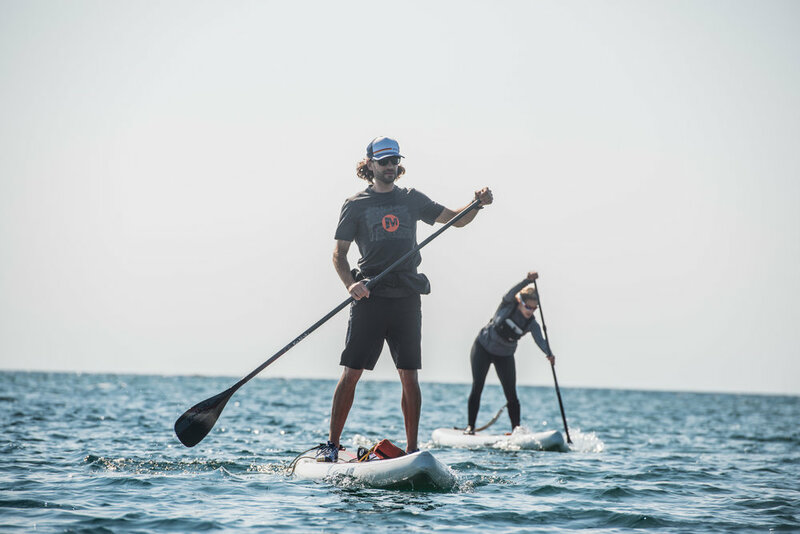 On water, the team will explore a number of wreck sites near Russell and Cove Islands, by free diving after accessing them on their stand up paddle boards, capturing photos and videos of the wrecks. 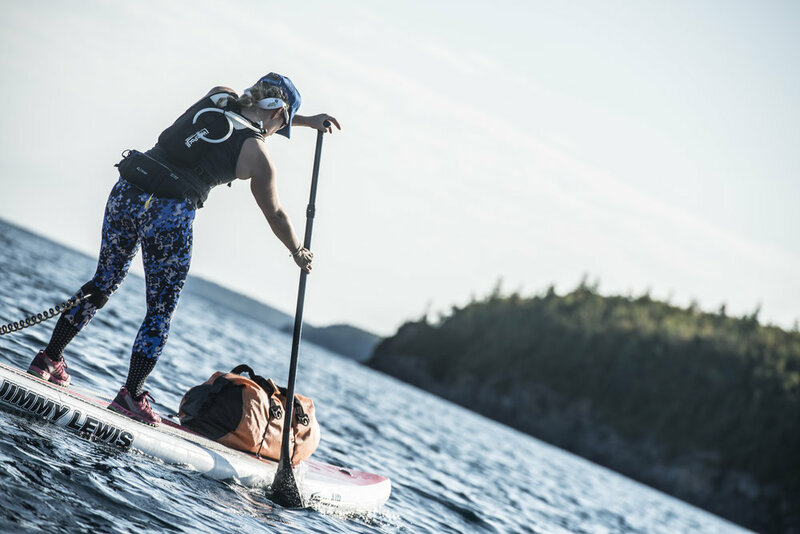 On land, the team will explore seldom visited areas to capture the beauty of the region through hiking, coasteering, and trail running. 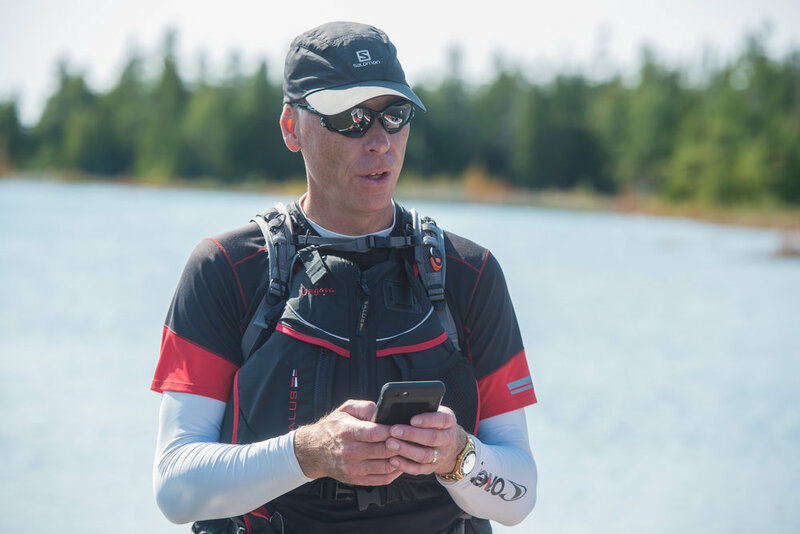 The goal of the project is to put the beauty of the region on display, document the current state of preservation of the sites visited by the team, and to emphasize the interplay between fitness, science, and exploration. 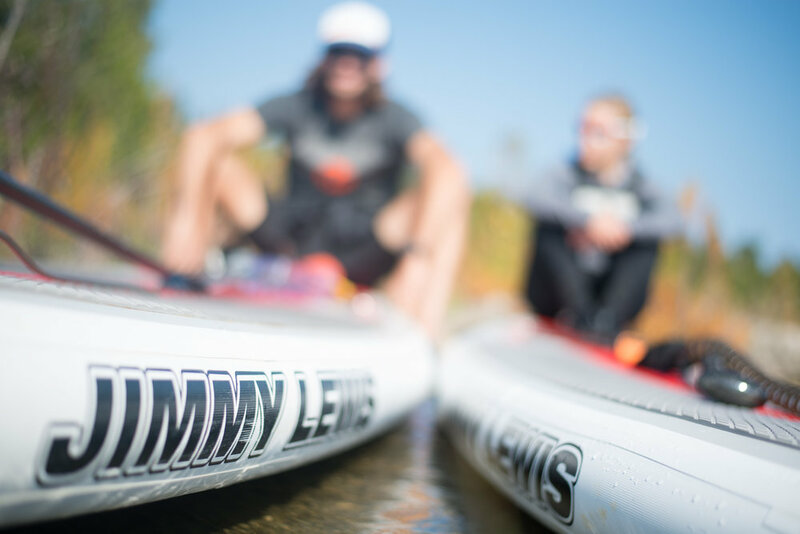 Combining scientific understanding of the processes which shaped the region - both historically and geologically, with human powered exploration an empowering way to explore the planet. 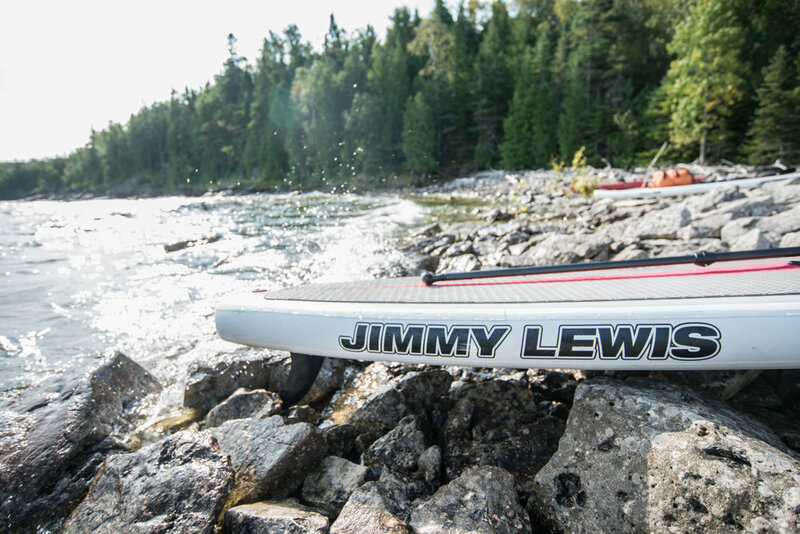 From September 24 - 26, a team of 5 international athletes paddled inflatable Jimmy Lewis standup paddle boards from the small town of Tobermory, ON (located at the tip of the Bruce Peninsula) into Fathom Five National Marine park. The purpose of this expedition was to explore and snorkel a number of shallow ship wrecks. 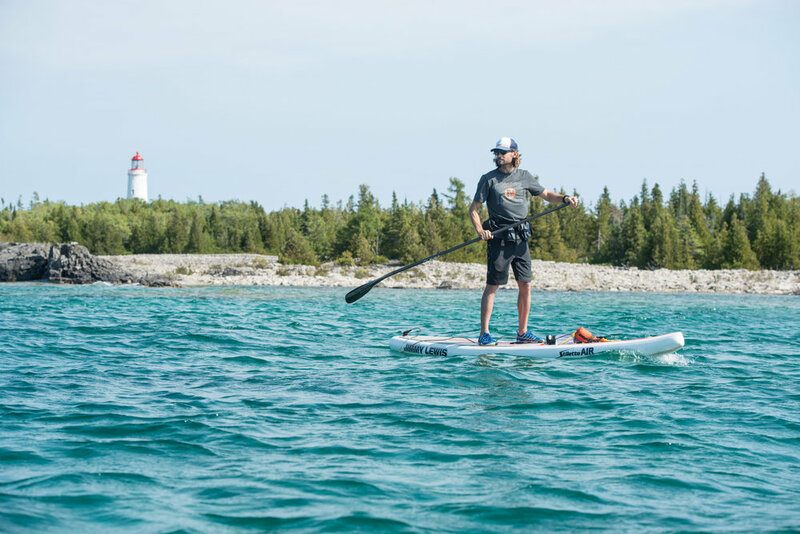 The team explored several islands within the park, including Cove Island - host to the oldest lighthouse in Lake Huron. The team spent the days exploring the islands, paddling, and snorkelling wreck sites. Evenings were spent admiring the brilliant night sky, eating dehydrated meals, and sleeping on their SUPs. Although the wrecks are all known sites, locating them without local experts proved challenging. Thankfully the weather held, and the team was able to explore seven wrecks (Sweepstakes, City of Grand Rapids, Charles P Minch, John Walters, W.L. Wetmore, and the James C. King). 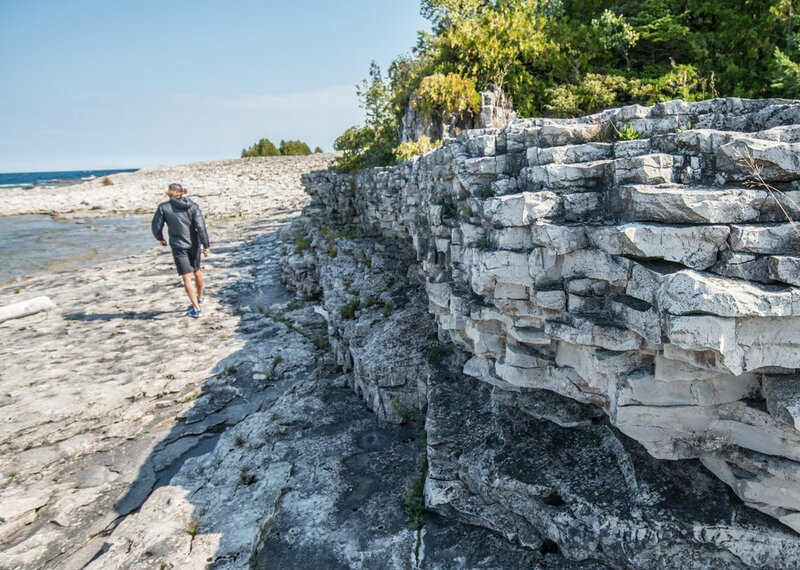 Until European colonization in the mid-19th century, the Bruce Peninsula was home to the Saugeen Ojibway nations, with their earliest ancestors reaching the area as early as 7500 years ago. Although the region had little value as agricultural land, it did host a substantial forest, as well as a rich fishery. The first saw mill opened in Tobermory in 1881, and within 20 years most of the valuable timber was gone. Fires then charred the ravaged landscape, and by the 1920s, the region was nearly bare of forests. The rich fisheries also began to decline due to overfishing and the introduction of the lamprey eel. The decline of both industries forced settlers out and the peninsula experienced a steady population decline until the 1970’s, when cottagers noticed the region and began to buy land. Cove Island shares a similar history with that of the mainland. Located only a few kilometres off shore, it too was harvested for its timber. The remnants of these activities can be seen just below the surface in some of the embayments, as old pilings and dock foundations still remain. Today, the island (much like the mainland), is covered in a dense forest - albeit it very different from its pre-European forest. This two masted schooner was built in 1852 and sunk November 20th, 1883. This ship was built in Kingston, ON and wrecked on the southern shore of Russell Island. The wreck is very close to shore, in shallow water, and was viewed by the team as they paddled over it. It’s heavy keelson is the most prominent feature. The Captain of the John Walters, John Sibley was a decorated mariner, having received a medal from the Dominion Government in recognition of his efforts to rescue the crew of the schooner Garibaldi after it ran aground. This steamer was built in Cleveland Ohio in 1871 and wrecked November 29th, 1901. Carrying a full load of lumber (of which over 25% of the load was lost), the ship ran ashore on Rabbit Island (NW corner of Russell Island), a mere 2 km from Tobermory due in large part, to a heavy wind and blinding snow storm. Captain John O’Hagan noted that the blizzard was so intense that the Tobermory lighthouse could not been seen, and at approximately 2 AM, the steamer hit a rock, stripped the propellers and then drifted and hit the island. It was towing the James C. King and the Brunette, which both followed the same fate as the Wetmore (although the Brunette was later recovered and repaired). The site is covered in timbers, but also hosts an impressive boiler, anchor, and anchor chain. Built in Saginaw Michigan in 1867, this schooner-barge was under tow by the W.L. Wetmore when the Wetmore floundered and sank. The King was carrying a large load of lumber, and 55% of it was burned in the ensuing fire when the King wrecked. Of the 27 sailors aboard all three ships, all were rescued and the only notable injury was a broken leg suffered by a sailor on the Brunette. Accounts describe the sailors working together to swim several hundred meters to shore through the rough water, and then surviving on the island until a passing fishing boat picked them up 36 hours later. Wrecked in Tecumseh Cove, Cove Island October 25th 1898, the wreckage is located close to shore, near the head of the cove. The schooner was carrying a load of lumber when a storm blew her into the rocky shoreline cove, dragging the anchors. There are two rudders located at this wreck site, with one likely belonging to the schooner Tecumseh, which was wrecked there in 1882. This wreckage is slightly deeper than the others visited, but due to the incredible clarity of the water, is highly visible. Snorkelers with the ability to free-dive ~15-20 feet can explore the deeper sections of the wreckage, as there is abundant timber littering the bottom of the cove, but primarily along the southern rock wall. One of the best preserved wrecks in the area, this schooner was built in Burlington ON in 1867. The two master schooner was damaged near Cove Island in August 1885 while transporting a load of coal and towed into the shelter of Big Tub harbour. Although efforts were made to repair the damage, she sank in September 1885. At over 115 feet in length, this is an impressive wreck with the hull still intact and the wreckage upright. The windlass (a winch used to hoist anchors/haul moorings etc.) and some of the bow rail are still in place. An easy wreck to access in the calm waters of the harbour, the team entered near the light house and paddled down to the wreck at the end of the harbour. Built in Grand Haven Michigan in 1879, this vessel was an elegant, double-decked passenger steamer that travelled between Owen Sound and the villages of Manitoulin Island and the Bruce Peninsula. While moored in Little Tub Harbour in Tobermory a fire broke out on board (October 29 1907). To prevent the fire from spreading to other vessels, it was towed out of the harbour and cut loose. The burning vessel drifted into Big Tub Harbour and to it’s current resting place near the Sweepstakes. Lying in 0-3 m of water, the wreck is easily visible from the surface. Much of the machinery is still visible (although some pieces were salvaged for local museums), including smoke stack, part of the boiler, pumps, etc. 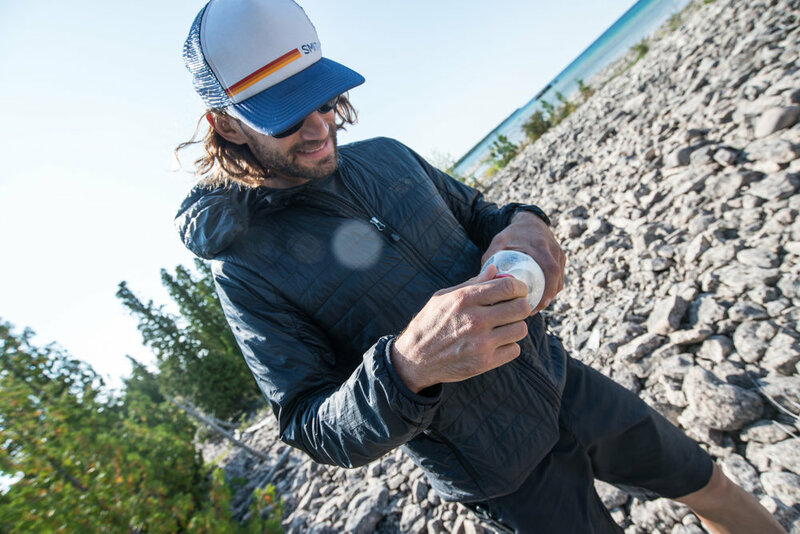 While exploring the shoreline near the lighthouse on Cove Island, team photographer Luis Moreira noticed, and picked up a plastic pop bottle. Whether it was the glint of light reflecting off of the clear plastic, or the plain, white piece of paper rolled inside of it, it caught his eye and the most interesting, and touching find of the expedition was made. Inside of the bottle, was a perfectly dry letter dated August 28, 2012 from a(n) (then) 11-year old from Thunder Bay. 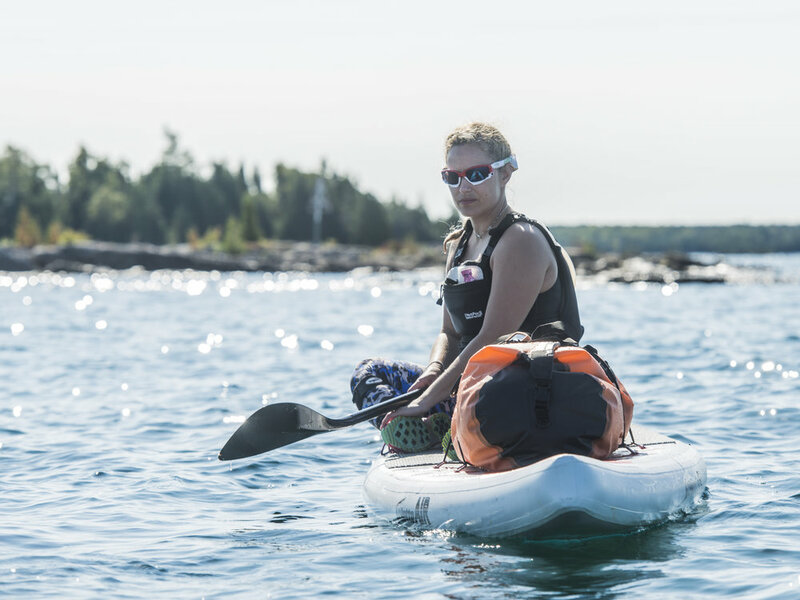 She had dropped the bottle into the lake while aboard the Chi-Cheemaun ferry while returning home from summer vacation with her family. The note describes the trip, and includes some illustrations of the boat. Finding a message in a bottle is something rare and special. The team, with the support of Merrell and Farm to Feet will be sending this little adventurer a care package to let her know her message was found and appreciated. To find any of these wrecks, visit one of the local dive shops in Tobermory. They can provide accurate maps and information to help you locate the vessels, as well as weather/water conditions, or even facilitate a tour. 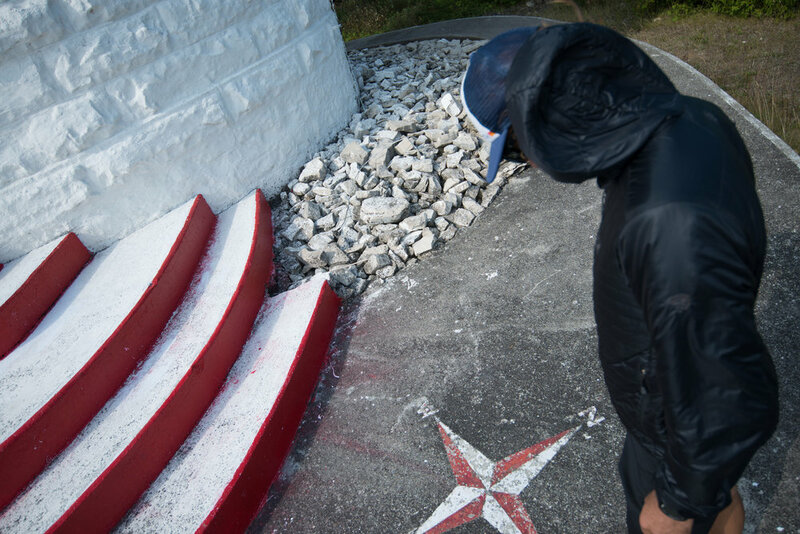 There are no tours to Cove Island, and it is solely visited by private boaters or for maintenance of the light house and associated structures on the northern portion of the island. We found no trails on the island, and there is a fire ban in place for visitors.